Posted on January 8, 2014 by Anmol K.
At home, the ghost of his dead partner, Marley, visits Scrooge The specter tells him that three spirits will visit him; the Ghost of Christmas Past, the Ghost of Christmas Present, and the Ghost of Christmas Yet to Come. The first of the psyches, the Ghost of Christmas Past, takes Scrooge to Christmas events that took place in his youth. These scenes depict his solitary youth, his strong bond with his now dead sister and a Christmas party with his first boss, Mr. Fezziwig. The third pneuma, the Ghost of Christmas Yet to come, shows Scrooge Christmas a year later, where Tiny Tim is dead because Bob Crachit could not afford the treatment on his small salary. Also the spirit shows Scrooge his employees stealing things from his dead corpse. I think this is book is the perfect way to capture the Christmas spirit. 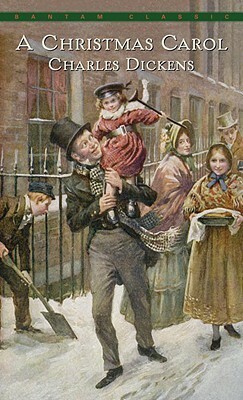 If you need an uplifting story about Christmas, then A Christmas Carol by Charles Dickens is the perfect book for you. Posted on December 25, 2013 by Satej B. The following essay was originally written for a 7th grade English class. Can one person hate so many things? Well, if know a man named Ebenezer Scrooge, you would have found out that he is that kind of person. In Charles Dickens’s play, “A Christmas Carol,” Ebenezer Scrooge finds a chance to change. During the play you are taken to the past, present, and future Scrooge. Also, Marley gives some key advice to Scrooge that helps him to turn into a genuine man. Slowly, through the conflicts of the play Scrooge realizes the error of his ways on Christmas Day. Dickens points out to the audience that the message is, be happy no matter what, because goods shouldn’t bring you happiness, love should. This quote represents the message of the whole play, be happy with what you have and don’t be greedy. Money shouldn’t bring you happiness, love should. When this quote occurs in the play, Present is telling Scrooge how thankful the Cratchits are for what they have, which isn’t much. This next quotes represents how ungrateful Scrooge is, of course before he transforms. “‘You will be wanting the whole day tomorrow?……. It’s not convenient, and it’s not fair.’” (p. 607) In this quote Scrooge is talking to Cratchit, he is giving his opinion on how much he wants Cratchit to come the next day and how much he opposes him not choosing to doing that. This last quote represents the change of Scrooge’s personality by the end of the play. “‘I’ll raise your salary…. to assist your struggling family’”(p.653) This quote represents the change of Scrooge’s personality. The message is clearly evident by these quotes. Dickens’s play “A Christmas Carol” is about how Scrooge massively changes by the end of the play. He turns into a genuine man from a man who couldn’t care less. The message is very clear from this play. It is to be thankful for what you have and not always be wanting more. 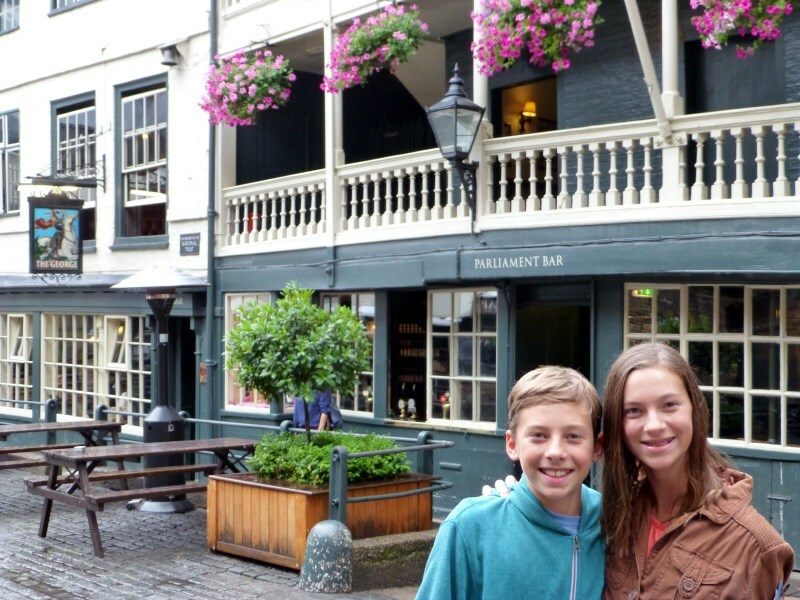 Dickens’s play send the message that being bad is never good, which should affect the whole world. Because it’s true. Posted on August 19, 2013 by Sebastian R.
This past year, I immersed myself in the study of the history of the world, a mighty feat that required exhaustive hours of reading and memorization. As with most students, I, at times, found this endeavor dry and lifeless, yet, conversely, often I was so captivated by a figure or civilization or event that history ceased to be a chore. To illustrate, an example of such an historical topic is the French Revolution. Throughout all periods of history, there has been change; for stagnancy is something we humans seem incapable of maintaining. Nonetheless, at the end of the 18th century, change took on a form more radical than ever seen before. Shortly after its American counterpart, the French Revolution consisted of rapid metamorphoses in government and society, spurred by turbulent times and the boiling anger of the French People. It is easy to find and study these happenings in history books, but the best way to understand the general sentiment of the period, in my opinion, is to read Charles Dickens’ immortal work, A Tale of Two Cities. 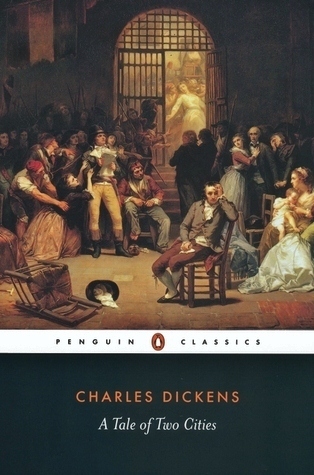 Set in both Paris and London (hence the title) at the onset of the French Revolution, Dickens’ tale chronicles the occurrences surrounding a small group of characters, most notably the long-imprisoned Dr. Manette, his near perfect daughter Lucie, and her husband the, as the reader comes to learn, French noble Charles Darnay. In the first book of this three-part novel, Lucie and the Tellson’s Banker, Mr. Jarvis Lorry, travel to Paris to retrieve the former’s father, who was previously thought to be dead but has, instead, been released from a lengthy imprisonment in La Bastille. This action sets the basis for the rest of the tale and the second book, where, as it commences, the reader is introduced to Charles Darnay, who is being tried for treason against England. Upon his acquittal, Darnay begins a life in England and eventually comes to wed Lucie. Yet simultaneously, in France, the reader observes the wine-shop owners of Saint Antoine, Madame and Monsieur Defarge, who are at the forefront of the revolution as they lead the storming of the Bastille and the resistance against the French nobility. A son of the aristocracy, Charles is summoned to help by the proprietor of the estate of his uncle, whom we know as the Marquis. Yet, as both an immigrant and a noble, Charles is imprisoned in Paris, and so Lucie and her father travel to the aforementioned city in a desperate attempt to save their loved one. I shall not discuss the climax and conclusion of the novel; that, reader, is for you to discover on your own. But I warn of the turmoil of the events that transpire subsequent to the actions stated above. 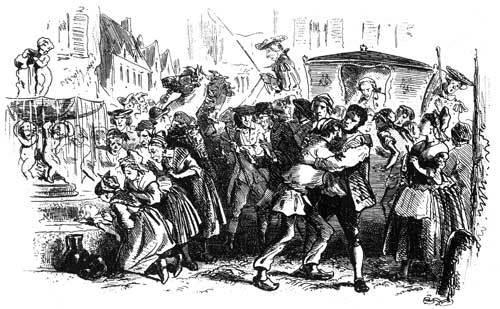 The revolution is unrelenting in its wrath, and quite frightening, especially as it is manifested in the character of Madame Defarge herself. Ultimately, however, the indomitable spirit of the tale’s protagonists yield them a bittersweet refuge from the terror of the new French Republic. Dickens is truly innovative; through the lens of a few characters, he is able to summarize and recount a whole period of turbulence, and, in so doing, seems to provide his own critical view of an epoch we now see as influential in the establishment of liberty and democracy in the west. One may read this novel for the entertainment of the gripping plot and richness of the majority of the novel’s characters alone, yet there is much greater historical resonance to A Tale of Two Cities below the textual surface. It is this ingenuity Dickens offers that has allowed his novel to obtain its status as a timeless classic of English literature.